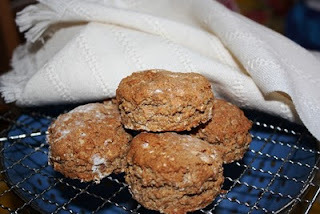 THE HUNGRY VEGGIE: SPELT SCONES - sugar free! SPELT SCONES - sugar free! I am off bread during the week in an effort to feel less bleh. My daughter wanted a scone today, so rather than buy tempting shop ones, I decided to bake spelt scones. Because they have strawberry soya yogurt in them, these are really sweet and tasty. 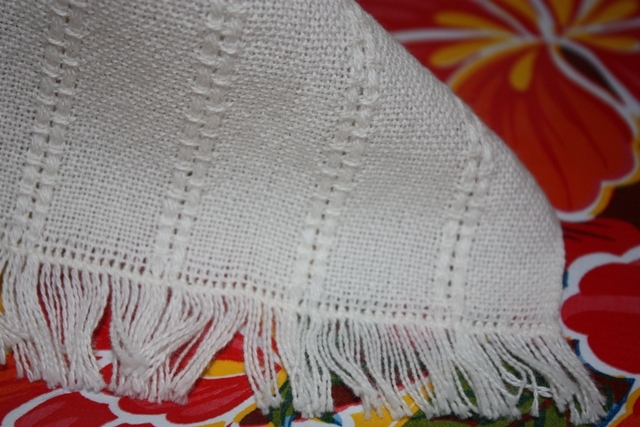 The lovely cloth is a bread cloth given to me by writer Valerie Trueblood and hand woven by her friend. It is my newest treasure possession and it got its first use with these scones.